Home News What a fruit! What would you say if you found out that a Regional Working Group had gathered to discuss global quality standards for the persimmon you may have bought an hour ago at the market next door? 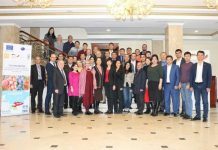 The Regional Working Group from Tajikistan, Kyrgyzstan, Uzbekistan and Kazakhstan met for the third time on November 12-13, 2018 to discuss plans for further cooperation and elaborate a coordinated approach to promote commercial quality standards of agricultural produce in the region of Central Asia. 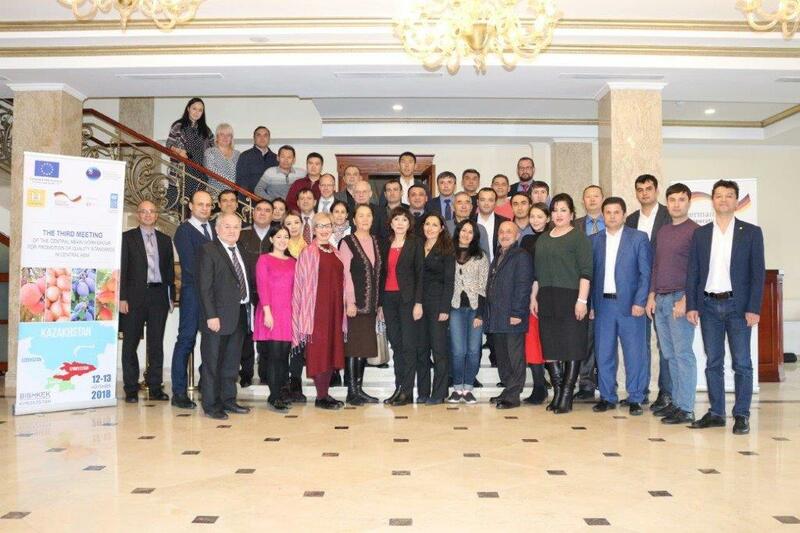 The participants summarized the results of their joint activities in 2017 and 2018, reviewed clarification materials on fresh and dried agricultural produce developed a strategy and work plans for future work on expanding the knowledge about UNECE commercial standards among producers, processors and exporters. 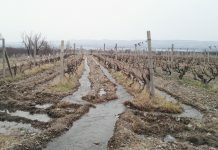 The Regional Working Group involves representatives of the respective government institutions (State Agencies for Standardization and Metrology, Ministries of Economy and Agriculture of Tajikistan, Kyrgyzstan, Uzbekistan and Kazakhstan), business associations and private sector representatives – producers, processors and exporters of agricultural produce from the region. The meeting became possible thanks to the support of the international organization Hilfswerk International, in the frame of the project “Advanced Support Programme to Central Asian Business Intermediary Organizations – Specialized and Integrated Services for Export-Oriented Food Processing SMEs(CANDY-IV)”, funded by the European Union Programme “Central Asia Invest – IV”, the UNDP regional project “Wider Europe: Aid for Trade in Central Asia”, funded by the Government of Finland and the GIZ Regional Program “Facilitating Trade Procedures in Central Asia”. 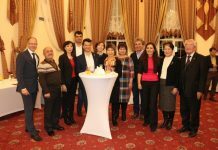 The attending representatives of European Delegation in Tajikistan, UNDP, and GIZ as international donors and of Hilfswerk International as main facilitator expressed their commitment to further support this regional multi-stakeholder initiative. “Have you ever come across a restaurant that serves beautifully cooked meals, which turn out completely tasteless, while a roadside café offers a plate of unsightly meal with a divine taste? This happens so often: something that looks pretty does not taste well, and vice versa. Everything we do in our Working Group is specifically aimed at ensuring that markets and supermarkets, both local and foreign ones, get only the best fruit and vegetables that look fantastic and taste fantastic”, says Umed Aslanov, Hilfswerk International regional representative in Tajikistan. 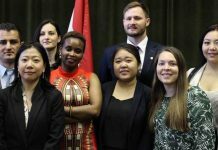 The Working Group participants also remarked that there is a deep-rooted stereotype among the people that a fruit, which looks very nice, is full of chemicals and color additives. That is why one of the main objectives for the Working Group is to foster the producing of as much tasty and safe fruit as possible, with minimum external defects, which meet the strict requirements of the buyers in Central Asia and foreign markets. Every fruit and vegetable purchased by a consumer in Central Asia or a foreign market completes a great journey from the farm it was grown in to our homes. Every product has a history behind it, and a lot of work that should not be wasted in vain. This is what now this Working Group of specialists and stakeholders are watching out. Due to this the safety, quality and taste of every nice looking fruit and vegetable in our country will be guaranteed.